I love neckties; that’s probably because I don’t have to wear them. 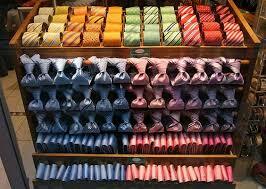 When shopping for myself at a department store, I always migrate to the men’s necktie display. I love the range of colors and styles, and I especially love how simply changing a tie can give a suit a completely different look. I’ve purchased several good-quality, super fun neckties for my husband over the years. When it comes to neckties, you really do get what you pay for. A good-quality necktie isn’t cheap, so if you are going to invest the money in a garment, then it’s likely you want to take good care of it. But there’s more to taking good care of your ties than just having them cleaned when a spill occurs. Here’s how A Cleaner World suggests you care for your neckties. Use care when removing your tie. Instead of pulling the thin end of the tie through the knot, take the time to remove your tie by following the tie-typing steps in reverse. This will help your ties keep their original shape longer. Properly store your tie. As soon as you remove your tie, hang it over a coat hanger or a tie rack. This will allow the creases and wrinkles to relax and fall out. Pack with care. Fold your ties in fours and place them inside your jacket pocket, then remove and hang as soon as you arrive at your destination. Address stains and spills immediately. If you spill something on your tie while out, gently scrape off the excess and blot with a clean, white cloth. Then leave it alone. We suggest you take ties to a professional to have them cleaned for several reasons, with the biggest being risk of dye bleeding. 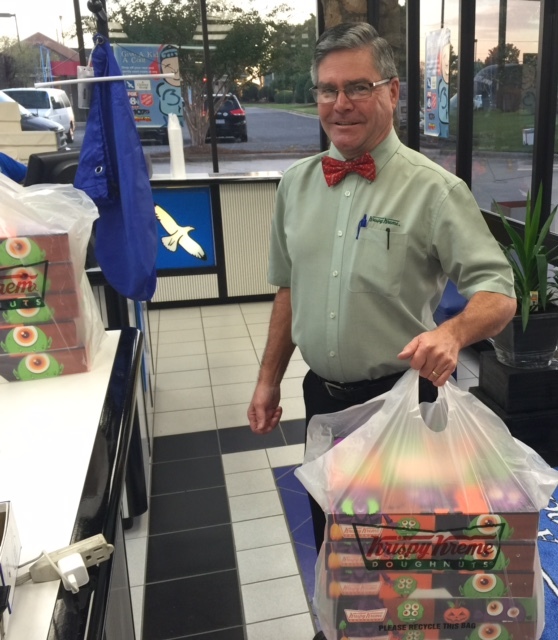 If your neckties are in need of attention, drop them off at any one of our locations. Our experienced drycleaners will evaluate each tie to determine the best cleaning method, check for colorfastness before cleaning, and use finishing touches to give your tie a like-new appearance.